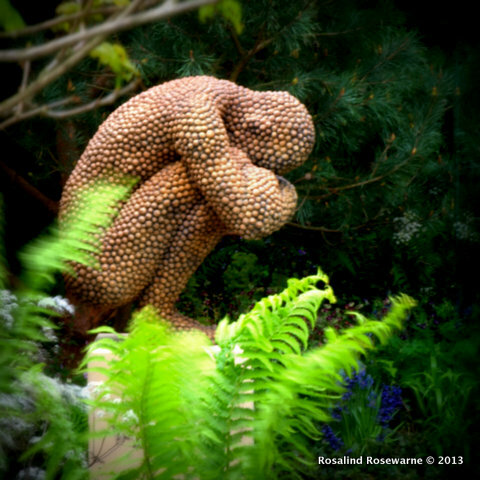 it’s Chelsea Week Was the Chelsea Centenary a bit passe? 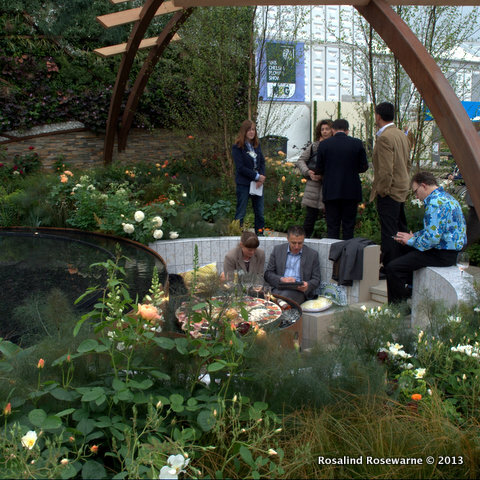 Chelsea 2013 heralded the 100th year of the now infamous show down at the river in SW3. Much was made of it in the run up, ticket prices were up significantly but attending numbers were down, probably due to ticket prices jumping by £10 in one year and £16 in the last 3 (that’s a 32.5% rise in case you were interested!). I had to go, had to see. 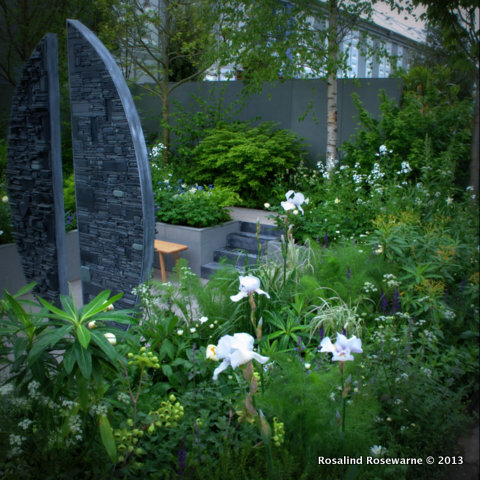 Last year gardens presented WOW factor after WOW factor and the centenary had so many big name designers and the advance design models and ideas appeared promising it looked like being well worth the outlay of time and to put it bluntly, cash. Several friends worked on build up and their enthusiasm for their projects was infectious, I was really looking forward to the day (Tuesday). The scramble to get in early (8am) to have a chance of seeing the main avenue gardens without being jostled too much, nor poked by elbows or taking an hour to manage viewing from more than one angle is a habit I’ve developed. Having worked at the show I realised there is a vacuum just after 08:10 where the first rush is over and the determined viewers can enjoy a good 15 mins of fairly clear viewing…ok not quite that drastic but nevertheless the throng builds fast on main avenue! 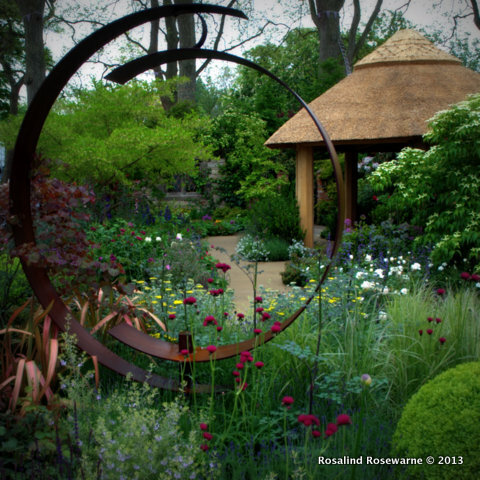 CHELSEA 2013 Roger Platts M&G Garden. 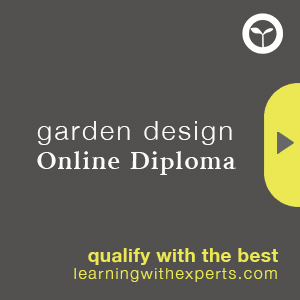 A delightful, quintessentially English garden finished with fine and elegant details and deliciously frothy planting. 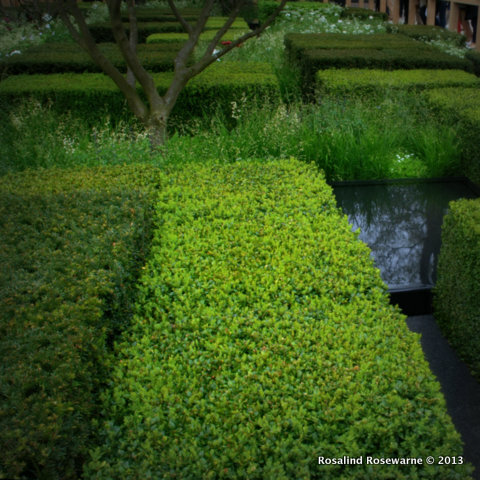 Christopher Bradley Hole demonstrated why he is so incredibly successful, his garden was a delight, perhaps not the showiest of gardens but for my money it had a subtle WOW WOW WOW factor and certainly a take home factor. 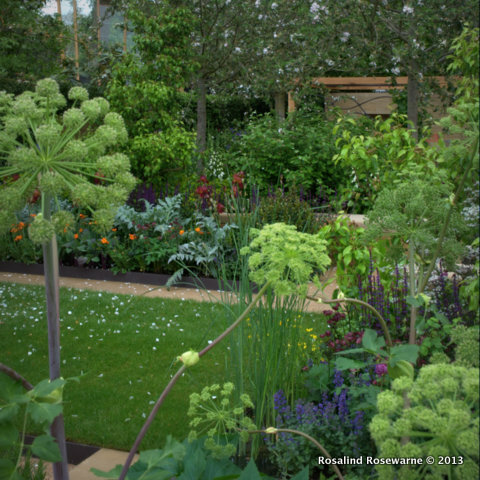 The Homebase garden felt as if it was designed for the cameras and end users but certainly not for show visitors, large plants on the front boundary making it difficult to view very much else. The Sentebale Forget-me Not garden which had many press inches given to it , one assumes based on it’s Princely sponsors (Prince Harry and Prince Seeiso of Lesotho) was also sponsored by B&Q though you wouldn’t really know that from the media coverage for who it appeared to be just the Jinny Blom/Sentabale garden. I just didn’t like it. Beautiful, considered design elements, materials and structures reminiscent of the Lesotho landscape itself all seemingly plonked, in a line on the plot. The explosion of the Fleming’s Garden on the triangle plot at the bottom was typically Ozzie a joyful demonstration of life in a country where rural properties are mostly off the grid and how they cope with it. Having lived on a couple of rural properties it was amusing to see the swimming holes and rain water tanks lauded up in London. So essential and common place to life in the Outback as to be ignored. A well deserved Best in Show in my view, for rarity and enthusiasm in showing off a different type of natural world. 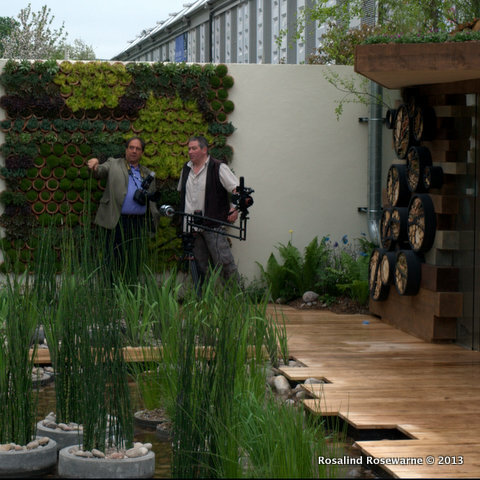 I did like the ideas displayed on RBC Blue Water Roof garden, Nigel Dunett’s formula works well but there were a horde of BBC TV presenters fencing it off initially followed by several photographers hanging about on it which sort of spoiled the experience. Much the same as the Stoke on Trent Garden which included several groups working, chatting and general loafing about the garden. BIG minus. Bartholomew Landscaping: Stoke on Trent garden with it’s variety of ‘workers’, wineglasses and general detritus (below)…. This year, for the first time, I watched as much BBC coverage as I could, saw more, learned more and enjoyed more than than actual visit. Some gardens looked much better from above, details of hard and soft landscaping were visible and explained and generally if seems to me that now the gardens are made for the telly not for the visitor….Next year I shall take a far cheaper half day, end of week ticket and loaf about the G.Pavillion…..having watched the whole thing on TV in the preceding week!